A day spa is the greatest relaxation enabling activity that you can afford for yourself. Day spas are kind of like a combination of a spa, beauty salon, and intense relaxation therapy. They are designed to be peaceful, semi-cocooned environments, offering relaxation, health remedies, beautification intense pampering, and personalized service. Day spas exist so that you can give yourself a “Me Day” when you need it. 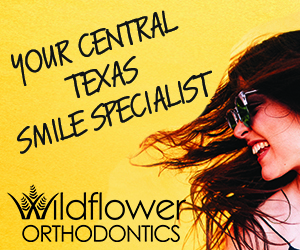 Did you know that some of the best oases of beautification and relaxation can be found in Texas? Whether you are a native Texan or are just planning a visit, you should know about some of the best day spas in the state. We got you covered. Here is a list of five of the best and most reputable day spas in Texas. Viva Day Spa has three locations available in the Austin area. Austin Monthly Magazine and the Austin Chronicle both named Viva Day Spa as the best spa in Austin. Viva Day Spa has numerous treatment options for women, men, couples and groups. There are several spa packages at Viva Day Spa that are industry-recognized for their award-winning treatments. Like a rejuvenating sauna treatment complete with peppermint scented towels. Other available spa packages include the Delicious Duet Couples Spa Package, Deluxe Viva Manicure and Pedicure, Bridal Bliss Spa Package, and customizable event spa packages. The specialized, decadent spa treatments focus on full body care, skin care, customizable massage therapies, waxing, tanning and more. Perfect Touch Day Spa utilizes the TriActive system to tighten skin and reduce excess cellulite. Check out the special spa packages including the Gentleman’s Package, Ultimate Indulgence and the Perfect Getaway. Plano Magazine awarded Spa Habitat the Best Day Spa in Plano, Texas for 2018. The founder of Spa Habitat is proud of the business’ lauded “Farm to Spa” business practices and ethics. All spa related products that may be harmful to humans, or known to be carcinogenic, are prohibited. Also, spa products with artificial colors and fragrances are never used. Spa Habitat only uses fully organic spa products made with direct “farm to spa” ingredients. Spa Habitat produces its own signature brand of products manufactured in environmentally friendly facilities. Organic herbalists and chemists are contracted by the spa to create its signature Clovertree Apothecary products, found exclusively at Spa Habitat. The spa is committed to offering its customers the most decadent, organic-quality, safe and relaxing in-spa experiences. Isabelle’s Day Spa offers the most rejuvenating and beautifying treatments in the San Antonio area. The spa is known for its signature European waxing techniques, anti-aging treatments, and its eco-friendly Vegan and Waterless nail treatments. Isabelle’s Day Spa is also an industry leader in microblading techniques. This is the cosmetic process of tattooing make-up and cosmetic color tones on the face. Riviera Spa customizes spa programs and treatments to suit your signature needs. The spa employs state-licensed massage therapists to perform a wide variety of massage techniques. One of the spa’s newest treatments is the infrared sauna, which uses b1uilt-in infrared technologies to help release toxins, relax and treat minor body aches. Float tank sensory deprivation treatment and spray tanning are also available.